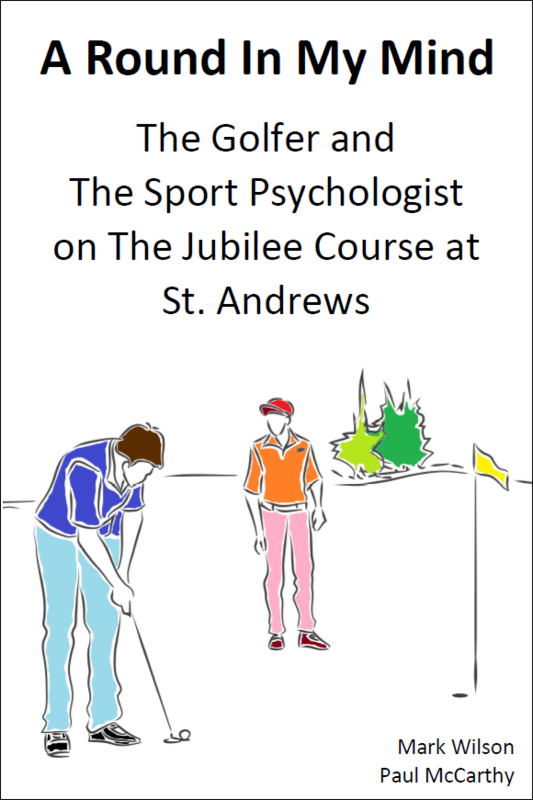 In this unique book on golf psychology and golf improvement, follow the fictional account of Chris Marriott, a 4-handicap golfer, as he plays a round of golf on the Jubilee Course at St Andrews – accompanied by a sport psychologist, James MacAndrew. As each hole presents its challenges, Chris and James discuss their experiences of golf and Chris begins to understand what is holding him back from shooting lower scores and, equally importantly, better enjoying his golf! Written by real-life sport psychologists Paul McCarthy and Mark Wilson, the book covers themes such as emotional control, decision-making, ego versus ability, removing self-imposed limitations, and controlling processes better. By the end of the book, readers will understand how to challenge and address the issues in their golf game that are hindering them. A commitment to change for the better is a commitment that only you can make. Dr Mark Wilson is Associate Professor of Experimental Psychology & Human Movement Science at the University of Exeter with a particular interested in how people learn visually-guided skills and how these skills might break down under pressure. Book Categories: Golf, Sport and Sport Psychology.